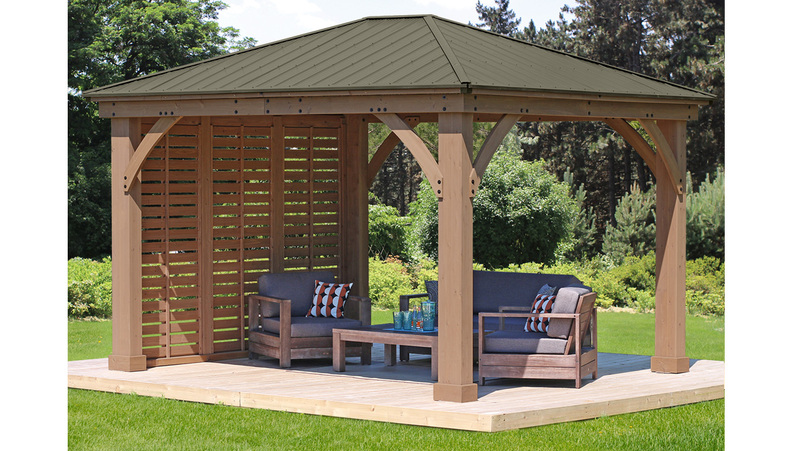 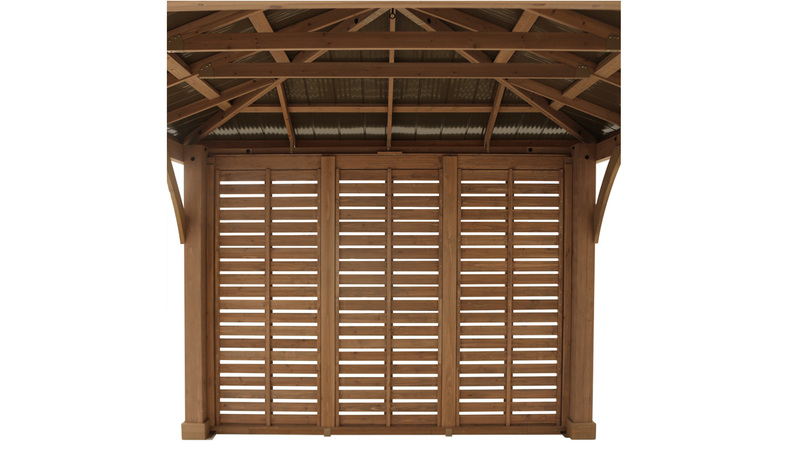 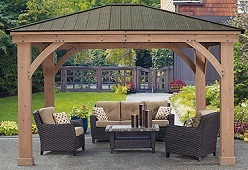 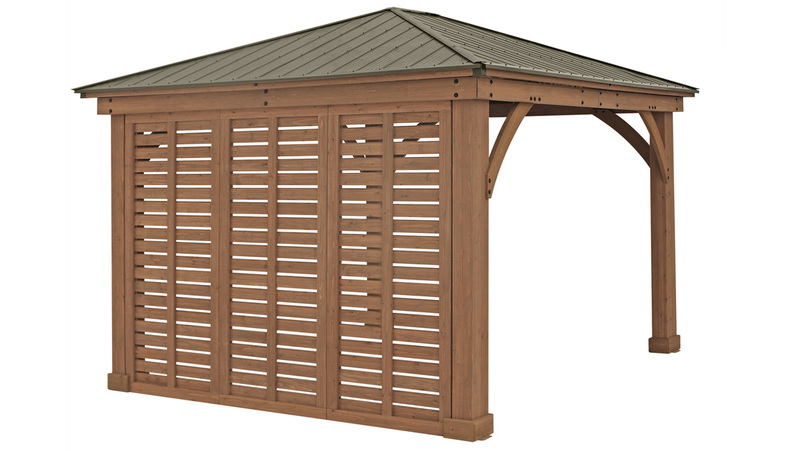 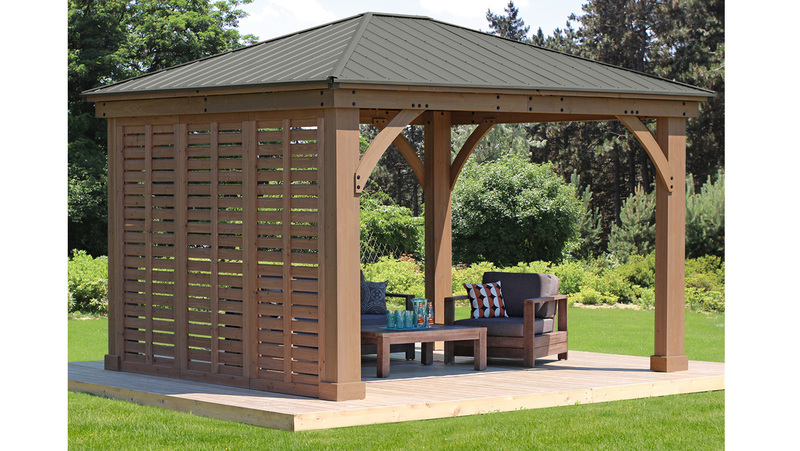 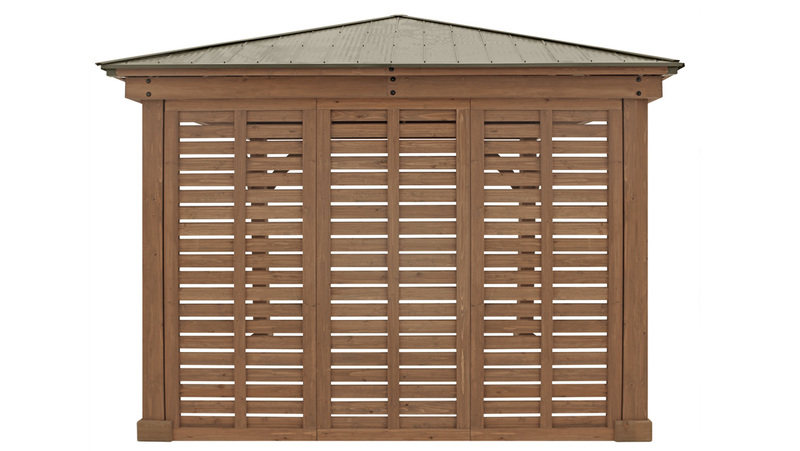 Yardistry's 12 ft. Privacy Wall is the perfect complement to your existing Yardistry 12x12 or 12x14 Wood Gazebo with Aluminum Roof. 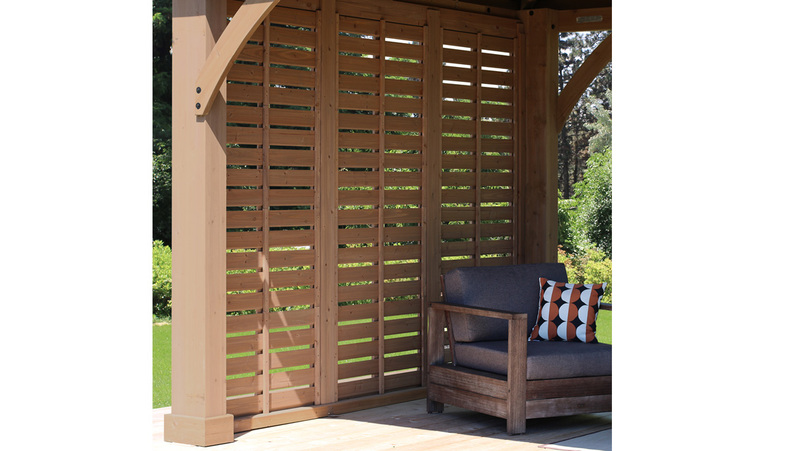 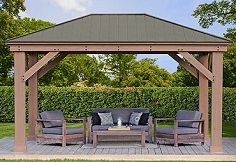 Whether you’re looking for some shade, protection from the wind, or a little privacy, Yardistry’s unique privacy wall design has you covered. 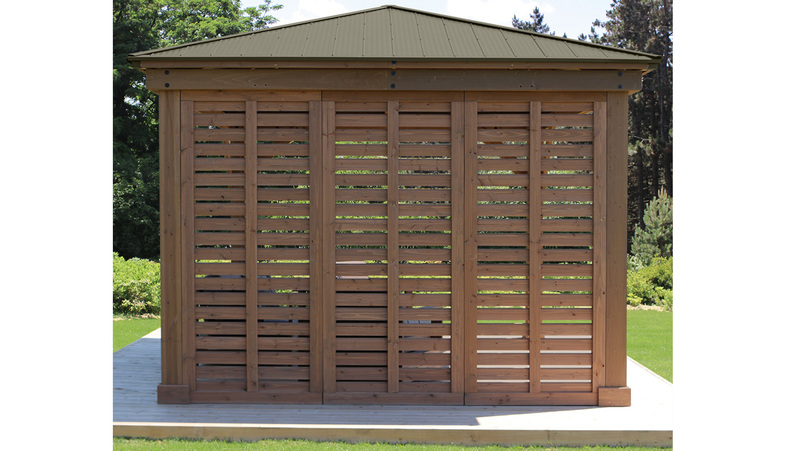 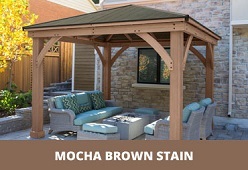 The Privacy Wall is built with 100% FSC Certified Cedar Lumber and finished in a Mocha Brown stain to match your Yardistry Gazebo perfectly!